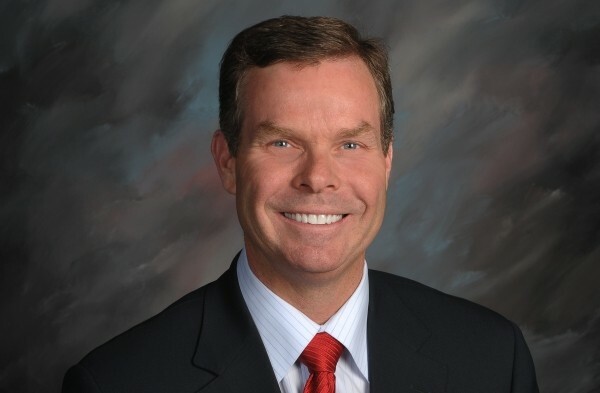 Attorney general candidate John Swallow has centered his campaign on his defense of Utah’s public lands and his efforts to defeat “Obamacare.” But according to a tape-recorded conversation he had with the owner of a telemarketing sales floor, he has another plan he’s been less vocal about—taking the agency that investigates consumer-protection complaints away from the jurisdiction of the Governor’s Office and putting it under the control of the Attorney General’s Office. “Now, this is kind of confidential, but when I’m the attorney general, I will try to restructure it so Consumer Protection is under the Attorney General [office] and the attorney general has more authority over those investigations. In fact, complete authority over that,” Swallow is heard telling telemarketing-business owner Aaron Christner in an April 7 phone conversation. Swallow, currently deputy chief attorney general, has banked heavily on campaign donations from Utah telemarketing companies that sell consumers across the country on online-business-opportunity coaching services. According to a review of state campaign filings, since 2011, Swallow has received $82,284 from companies involved in online-business opportunities and Internet marketing, though none of those companies appear to have faced any state consumer-protection complaints. One such company, IWorks,Â was also a major supporter of current attorney general, Mark Shurtleff. IWorks was an Internet-business-opportunity company whose founder, Jeremy Johnson, is now being charged by the FTC for having defrauded thousands of customers out of $275 million in a case that is still ongoing in federal court. Johnson, through family members and IWorks, donated $29,200 to Shurtleff’s 2009 U.S. Senate campaign alone. Utah is one of 17 states in which the authority to investigate consumer-protection violations and prosecute them are housed in separate agencies, with the Attorney General’s Office being tasked with prosecuting cases brought to them by Consumer Protection. In the taped conversation provided to City Weekly, Christner introduces himself to Swallow by inquiring about a Swallow fundraiser breakfast meeting the coming week and telling him about his company’s legal troubles with Consumer Protection. Not only does Swallow tell Christner that, if elected, he would try to take over consumer investigations from the agency, but that he can also arrange a private meeting with Christner, himself and Shurtleff to possibly help resolve Christner’s legal issues by influencing the assistant attorneys general assigned to prosecute cases on behalf of Consumer Protection. Since 2008, Christner has been involved in several entities that sell online-business-opportunity and coaching services. On March 2, 2011, Christner and his business partner, Ryan Jensen, were fined $400,000 by the Utah Division of Consumer Protection for telemarketing for three months while their company was not properly bonded or licensed. Jensen and Christner approached City Weekly earlier this year out of concern that the state’s regulation of the telemarketing industry is unfair and inconsistent. They also objected to the recommendations made to them by owners of other companies in the industry to ingratiate themselves with state politicians through campaign donations. Christner documented the call he made to Swallow on April 7, 2012, after hearing about a fundraiser breakfast to be held the following week at a Mimi’s Café in Salt Lake County. The fundraiser was not publicized on Swallow’s campaign website and, according to Jensen—who attended the event but did not make a contribution—included a number of players in Utah’s call-center and Internet-business-opportunity industry. Christner begins his conversation with Swallow by referencing another Internet marketer and mentioning the upcoming breakfast fundraiser. After briefly discussing his problems with Consumer Protection, Christner explains how his legal problems have affected his cash flow and asks if anything can be done about resolving his legal issue with the state. “OK, so umm ... so you ran out of money?” Swallow asks Christner. Christner responds that he did briefly, but that his company is back in a position where they are making money. Swallow then advises Christner to make sure he retains legal counsel to protect his rights and then offers to have Christner, by himself or with a lawyer, meet with Swallow and Shurtleff. “But [we’ll] have you sit down with the attorney general and have him—if he thinks it’s a good idea or if he thinks you’re right or, at least if he thinks he can help you—see if there’s something that can be done to get it worked out with the lawyers here,” Swallow says in the recording. “The attorneys who handle the cases for the Department of Commerce are our assistant attorney generals. They work for Mark [Shurtleff],” Swallow says. 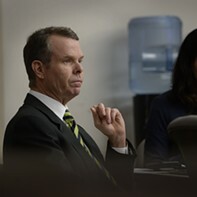 While University of Utah law professor and former federal judge for the District Court of Utah Paul Cassell did not hear the conversation and could not speak to it specifically, he says that, generally, discussions between government attorneys and possible defendants are common practice. Besides discussing what the sitting attorney general could possibly do for Christner’s situation, Swallow also discusses the problem he sees with consumer investigations being housed under the governor’s authority at the Department of Commerce. “Utah is so dysfunctional right now,” Swallow says. “Again, the client—the client is the Department of Commerce and Consumer Protection and that is not someone we can control or even influence greatly. It’s because they work for the Governor’s Office.” It’s then that Swallow tells Christner he plans to put Consumer Protection under the Attorney General’s Office when he’s elected. But, “I’m not attorney general yet,” Swallow says. Despite requesting comment and submitting questions in writing to the Attorney General’s Office, the office, as part of its continuing policy of not speaking to City Weekly, declined to comment for this story. 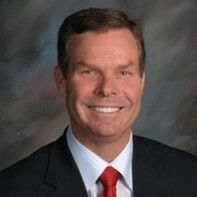 After City Weekly’s story was published online on May 31, Swallow’s campaign released a statement to media saying there are efficiencies to be gained in moving Consumer Protection under the Attorney General’s Office, and that the move would also help reduce the size of government. When asked about the prospect of moving Consumer Protection to the Attorney General’s Office, the Department of Commerce responded that such a policy decision would be unwise logistically since the Attorney General’s Office lacks the resources to handle small administrative citations against companies. The Governor’s Office also released a statement, saying it has no interest in restructuring the agencies the way Swallow described to Christner. University of Utah political-science professor Matthew Burbank says that in the attorney general’s race, as in all political races, there is always a concern of monied political interests seeking to influence elected officials. The issue is more significant, however, when it involves the attorney general’s race. Money is necessary in politics, but for Burbank, close associations with companies that face legal trouble can be damaging to a political campaign if financial backers appear to have more influence with an elected official than the average citizen. “Again, the real key issue with the Attorney General’s Office is trust—trust that that office is going to be administered fairly,” Burbank says. *In an earlier version of this story, erroneous information was stated about the status of Christner's and Jensen's case.